L. Jussim, Accuracy in Social Perception: Criticisms, Controversies, Criteria, Components and Cognitive Processes. D.O. Sears and P.J. Henry, Over Thirty Years Later: A Contemporary Look at Symbolic Racism and its Controversies. D. De Cremer and T.R. Tyler, Managing Group Behavior: The Interplay Between Procedural Justice, Sense of Self, and Cooperation. R.S. Baron, Right It’s Wrong: Groupthink and the Ubiquitous Nature of Polarized Group Decision-making. R. Brown and M. Hewstone, An Integrative Theory of Intergroup Contact. A.W. Kruglanski, A. Raviv, D. Bar-Tal, A. Raviv, K. Sharvit, S. Ellis, R. Bar, A. Pierro and L. Mannetti, Says Who? 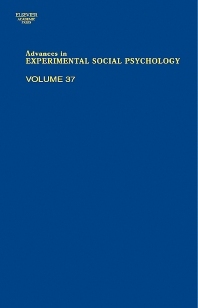 : Epistemic Authority Effects in Social Judgment.